A common issue that we run across in our line of business is broken shower faucets. Over time the cartridge wears out and doesn’t shut off completely. The immediate reaction is to turn the valve tighter in an attempt to keep the shower or bathtub faucet from continually dripping. The next thing you know, the tip of the cartridge is stripped and the handle falls off. So you go out to the tool box and grab the vice grips or pliers and try to fix it yourself? That is not usually what happens. No, instead, the vice grips or pliers become a part of your bathroom decor and a replacement for the broken part and you settle for a temporary fix. 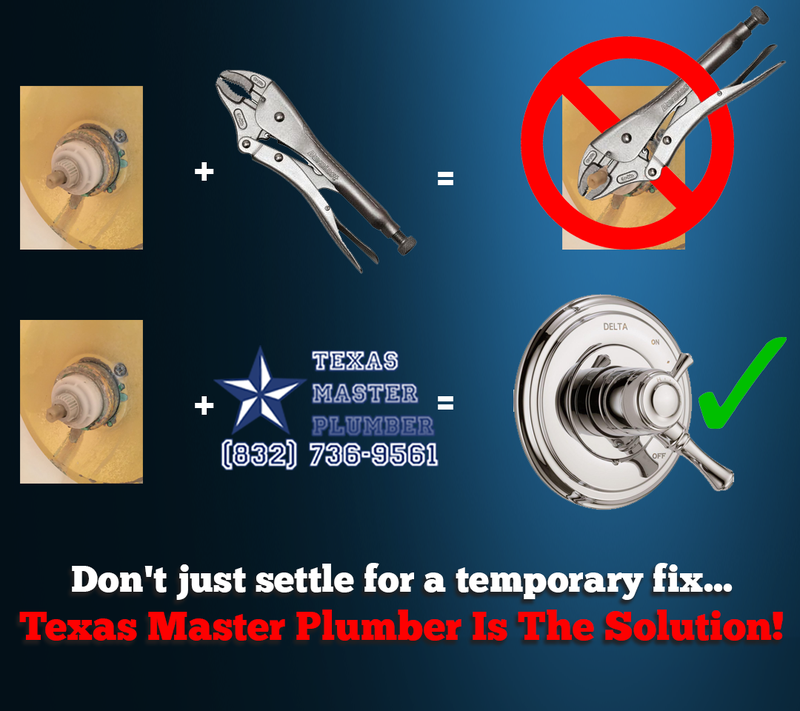 Texas Master Plumber is here to help you with a permanent solution! Texas Master Plumber has all of the right tools and parts to resolve your problem quickly, efficiently and cost effectively. Don’t just settle for the inconvenience of working around the problem, give Texas Master Plumber a call today for a fast, free, quotation. Texas Master Plumber has access to plumbing parts from all of the most trusted brands in America. We work directly with manufacturers to get great prices which we can pass on to our customers. Because we are so cost effective most of our clients simply pick up the phone and call us rather than running to the tool box. If you need a qualified plumber, call Texas Master Plumber. We are a quality plumbing repair service and proudly server the Greater Houston Area. Texas Master Plumber is the most requested plumber in Houston for a reason. We get the job done right. Texas Master Plumber is on the job to get the job done right! 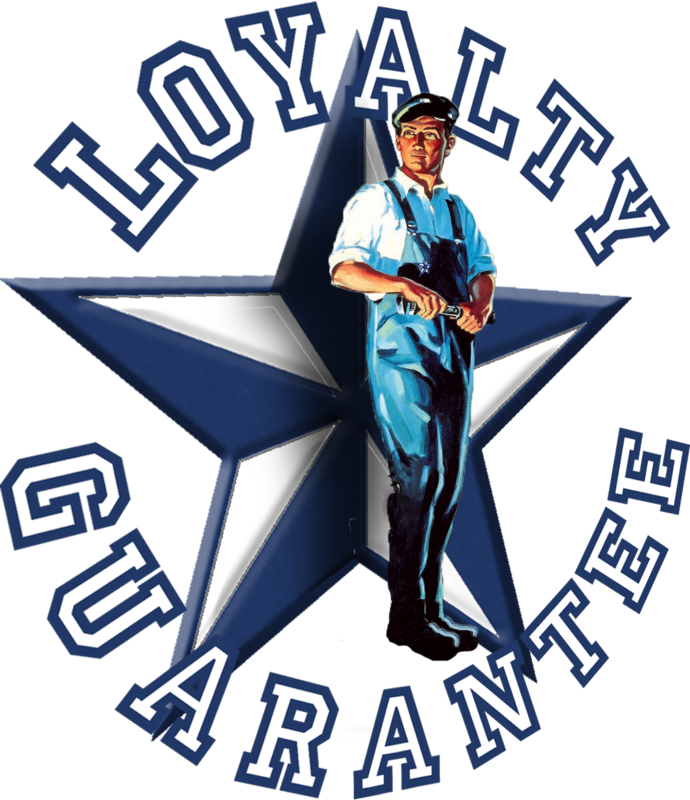 We stand behind our service with a Loyalty Guarantee. We will get the job done right or we will make it right GUARANTEED! So what are you waiting for. Put those vice grips or pliers back in the tool box and give us a call today. We have our own tools and vice grips are rarely ever used!